Individuals with large families know very well how high numbers can come with monthly or bi-monthly grocery bills. The cost of making breakfast, lunch, and dinner, day after day, can add up quickly, especially if you have children with special dietary needs. Here are a few tips to keep your grocery bill in check and save money on the food your family loves. Coupons are a great way to save money. However, it will take a measurable degree of organizational skills to reap the full benefits of this strategy. 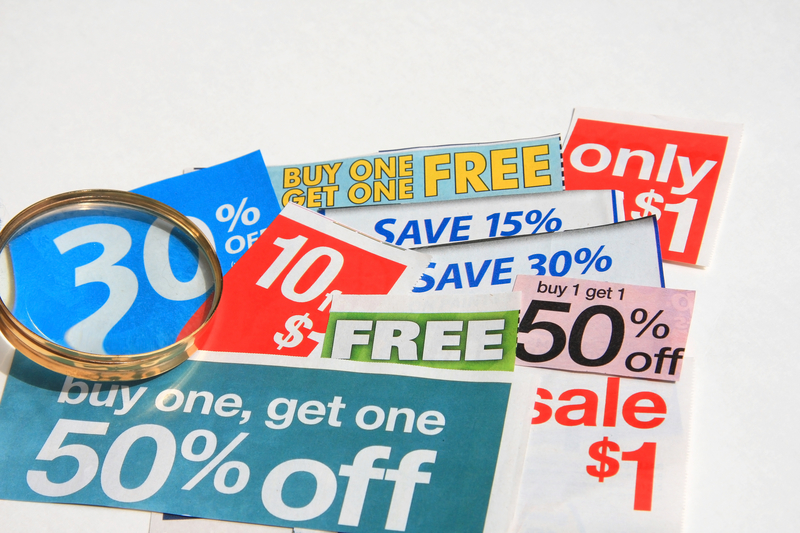 Traditional couponers have routinely reported hundreds of dollars in savings from coupons each week. Coupon apps are also available to people who do not have the patience for cutting and organizing paper coupons. These apps allow coupons to be 'clipped' and savings to be earned by the user at the register. Some coupon apps even give rebates to users. Meal planning can shave hundreds of dollars off the family grocery bill. By planning your meals, you can avoid impulse trips to fast food restaurants, and you can involve your children in cooking meals. It will also help you to spend less time shopping for groceries. If you have no desire to or are unfamiliar with planning meals, there are many meal plans available for families to use. Some of these plans must be purchased; however, they are still cheaper than both meal delivery plans and purchasing fast food meals. A switch from name brand to generic products is a simple strategy that can save you money on groceries. Rarely will anyone in your household know the difference between the products. An important thing to remember is that this switch can be reversed. If the change to a generic product is not well received by your family, you can always return to the original product. Many are familiar with the concept that buying products in bulk will lead to long-term savings on groceries. Many times this is true; however, careful planning is needed to ensure that your buying is done responsibly. Buying in bulk is an art that must be mastered. Purchases should be tailored to the taste of your family. You will not save money purchasing a six-month supply of a product that four out of five of your children will not eat. 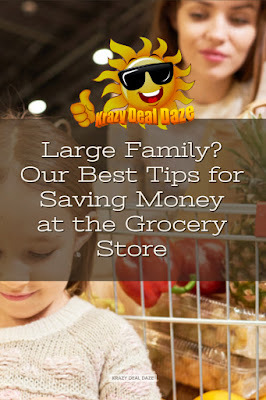 Many families save money on meal by meal planning around store circulars and advertisements. A store will have different products on sale each week. This can afford you and your family some variety in meal planning while also saving you money. When a certain type of meat is on sale, this can be the foundation for a meal. When black beans are being sold below the normal cost, chili can be served to the family. The family that is willing to exercise flexibility with meal plans can cut their monthly grocery bill by shopping based on what products are on sale. Produce is considerably more expensive when it is purchased out of season. This one can be difficult when kids love a particular product. For instance, the love of strawberries can be an expensive indulgence in the middle of December. It is a good idea to purchase a variety of fruits and vegetables for your family at all times to expand their palates and give them a variety of nutrients. To those families to which this applies, you know that if you foster children you are given an allowance to spend on them. Use it wisely! Depending on how many foster children you currently have, you want to find out how much they need in clothing and other necessities and then promptly put anything that is left over into the grocery budget. After all, it makes sense to spend more money on food if there are going to be more mouths to feed. Many grocery stores provide rewards for patronizing their stores on a frequent basis. Pick one or two stores close to you and become familiar with their customer reward systems. When you gain an understanding of the reward offers of a particular store, it will guide your purchasing habits in that particular store to gain free or discounted products available through rewards. 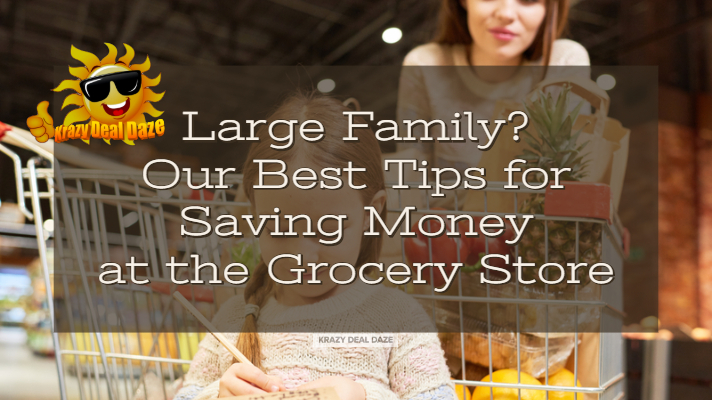 Shopping for a large family is quite the task, and can be even more expensive, but that doesn’t mean that you can’t save money either. Be patient and thorough and watch that grocery bill come down over the months. Thanks for stopping by to read our Large Family? Our Best Tips for Saving Money at the Grocery Store. Which tip was your favorite? We would love to hear your feedback. Please let us know in the comments below! I live alone. I also plan meals in advance. In some product - I buy in bulk too. Grocery shopping is one of those things that I really despise. With a family of five, I hate to see the weekly bill when I go in to even get the necessities. I typically don't even reach for extra "junk". These are some really great tips on how to make things stretch even more. These are great ideas - not just for large families. Making a habit of planning the meals for the entire week and shopping accordingly has made a huge difference in our home. Better meals, less waste and money saved. I love to read about money saving tips for large families as I have 3 children and 3 stepchildren too! These are fab, thank you! I don't have a family yet but these are some great tips for saving! Love this! I started using apps and coupons for our groceries. It has saved me a lot!